Longines‘ extensive archive is the gift that keeps on giving, providing inspiration for new historical remakes every year. 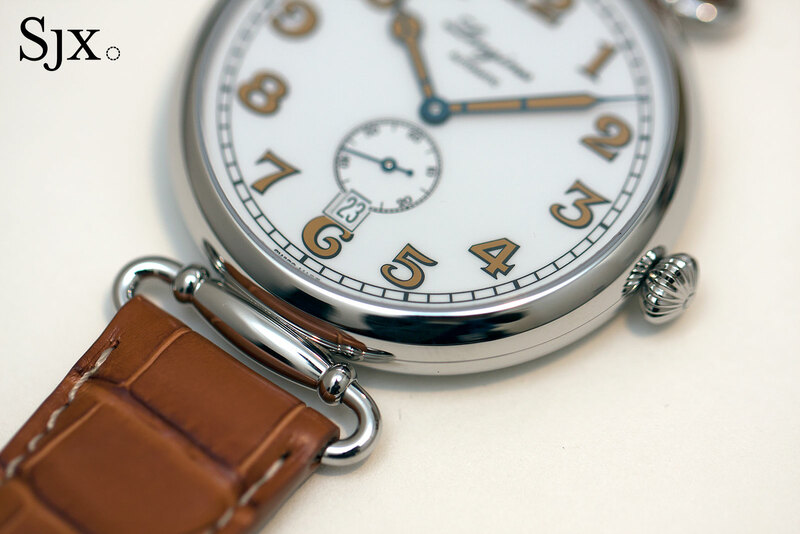 The Heritage 1918 is based on early 20th century wristwatches, known as wristlets at the time. Also labelled trench watches, because they were popular with the fighting men of WWI, such timepieces were transitional watches between the pocket watch and modern wristwatch. 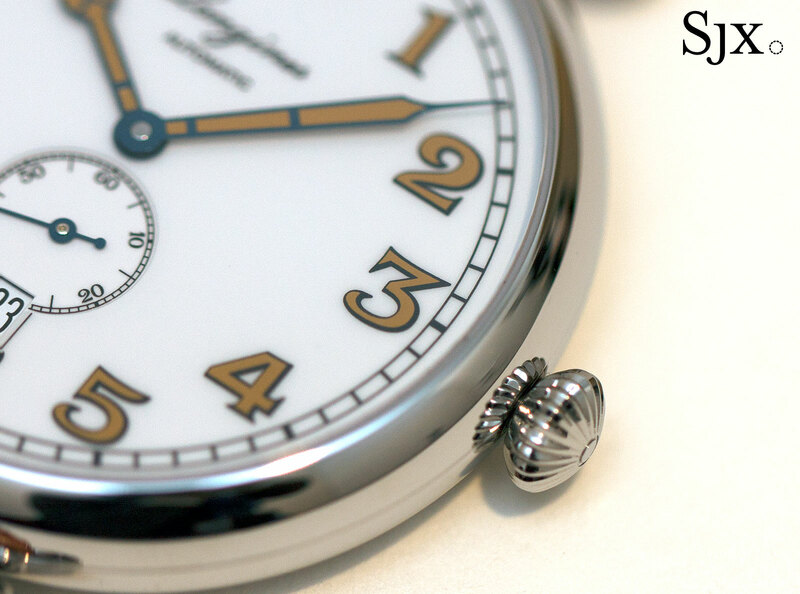 Consequently, such trench watches resemble miniature pocket watches with lugs, which is exactly what the Heritage 1918 aims for. 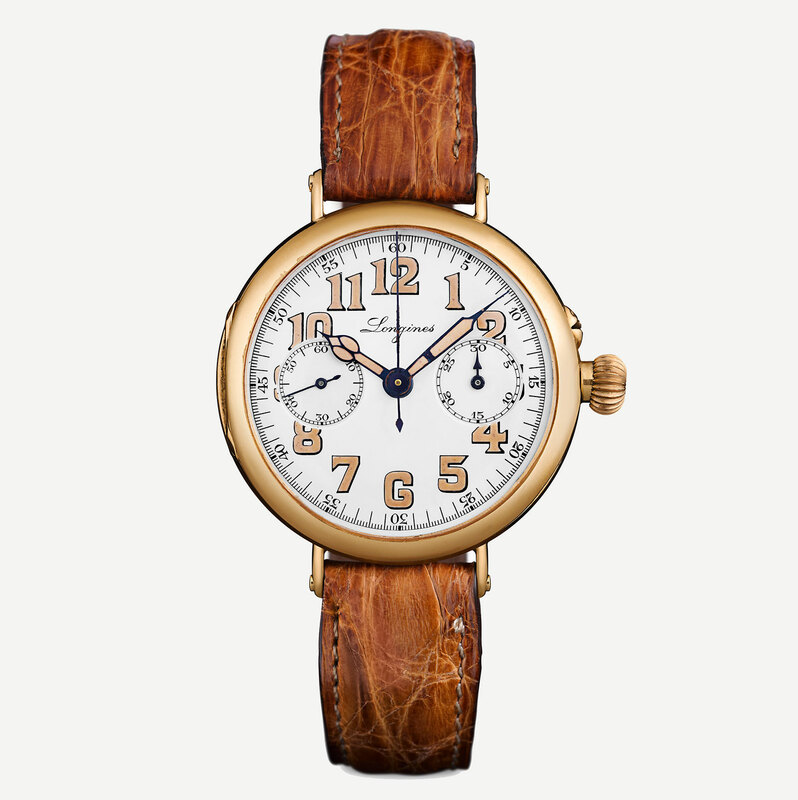 Though Longines claims an early 20th century single-button chronograph as the inspiration for the Heritage 1918, the modern remake is a time-only wristwatch. Largish and flat, the Heritage 1918 is available in either 41mm or 38.5mm size, with swivelling loop lugs that give the watch a slightly delicate appearance. 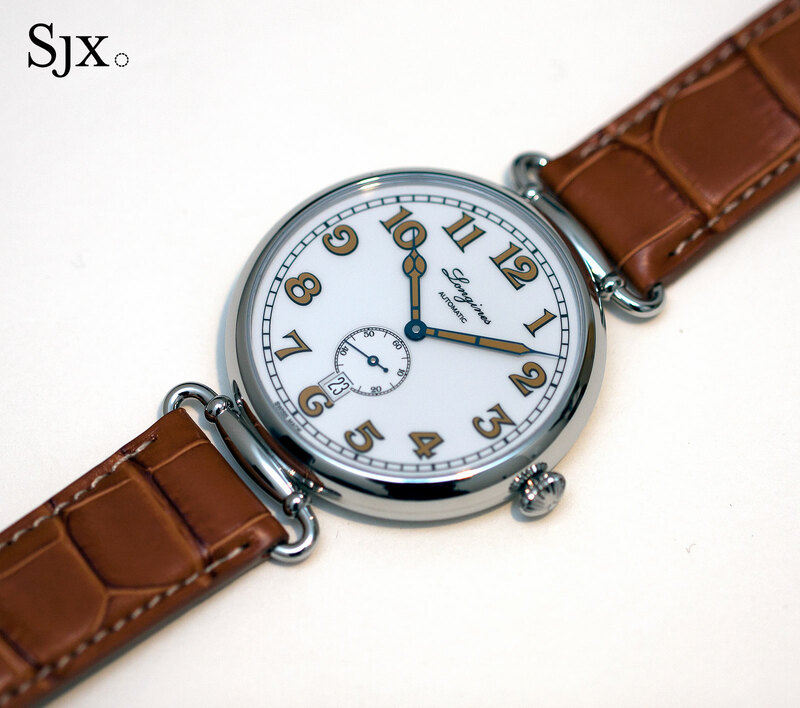 The dial is glossy white lacquer to replicate the look of the porcelain dial found on vintage trench watches, complete with the Longines logo in italic script as on the originals. And the retro look continues with the numerals and hands, which are filled with “honey-coloured” varnish to mimic the appearance of luminous radium that was used on vintage watches for its luminosity. 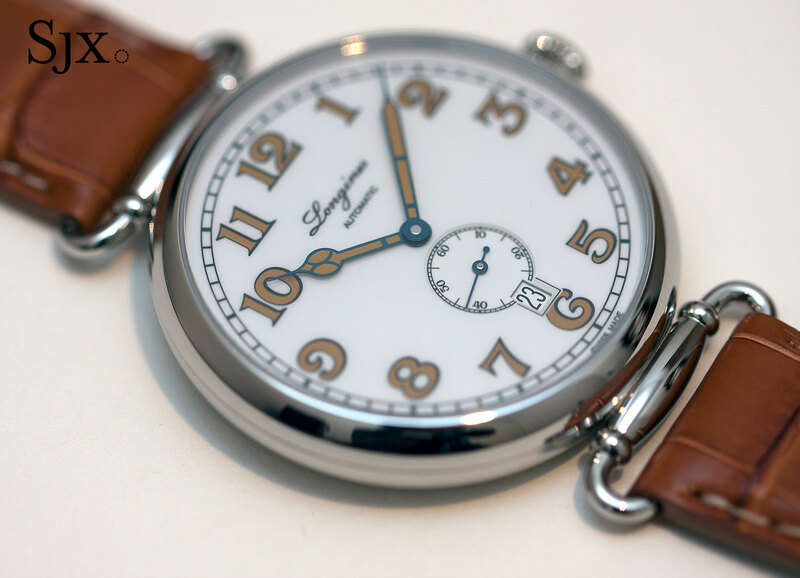 The small combination of colours and finishes is found on another recent Longines remake, the Avigation Watch Type A-7 1935. The vintage look is compromised by two incongruous elements: the subsidiary seconds that sits too close to the centre of the dial (a consequence of the movement being significantly smaller than the case), and the date window at six o’clock that cuts into both the seconds and “6”. 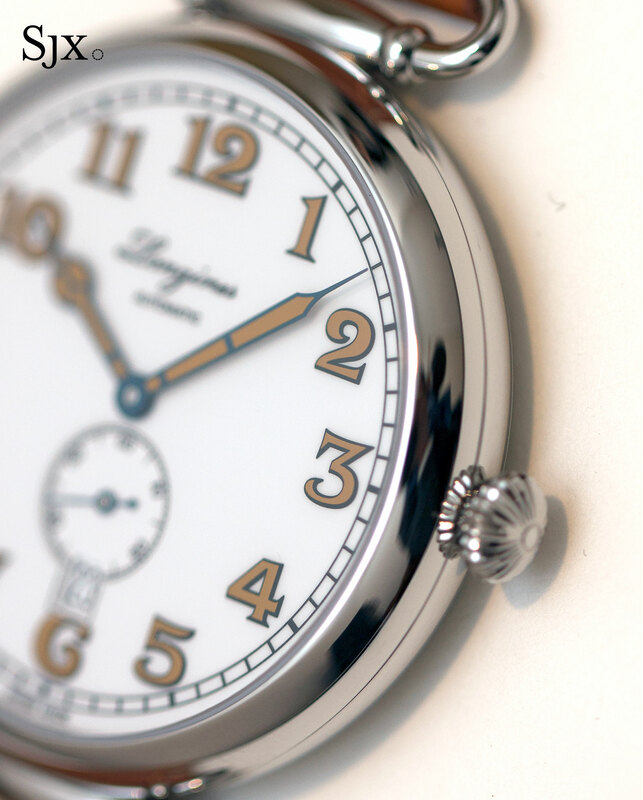 The date window is found on nearly every Longines historical remake (except the recent RailRoad) so the Heritage 1918 is no worse off than any of the rest. 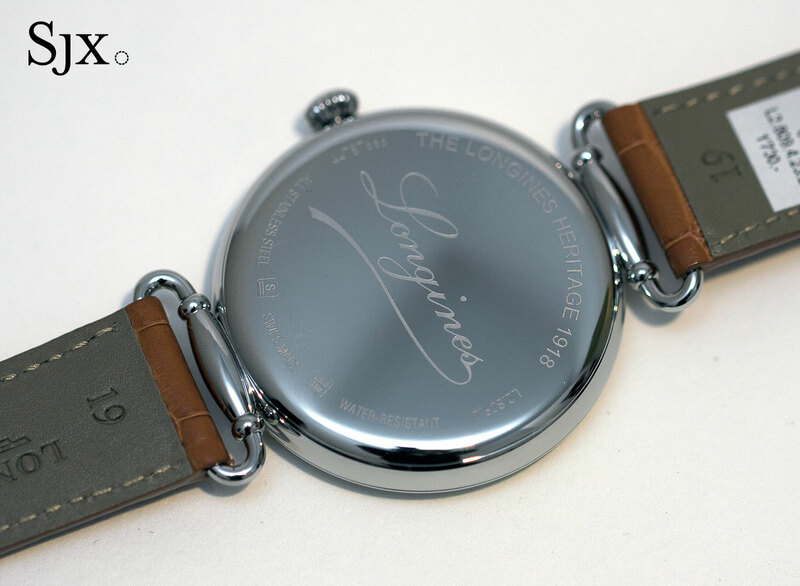 Beneath the solid steel back is the Longines calibre L615, actually an ETA 2895/2. A variant of the ETA 2892, the movement is an exceptionally robust and cost efficient automatic with a 42-hour power reserve. The early 20th century chronograph in the Longines museum that served as the basis for the Heritage 1918. 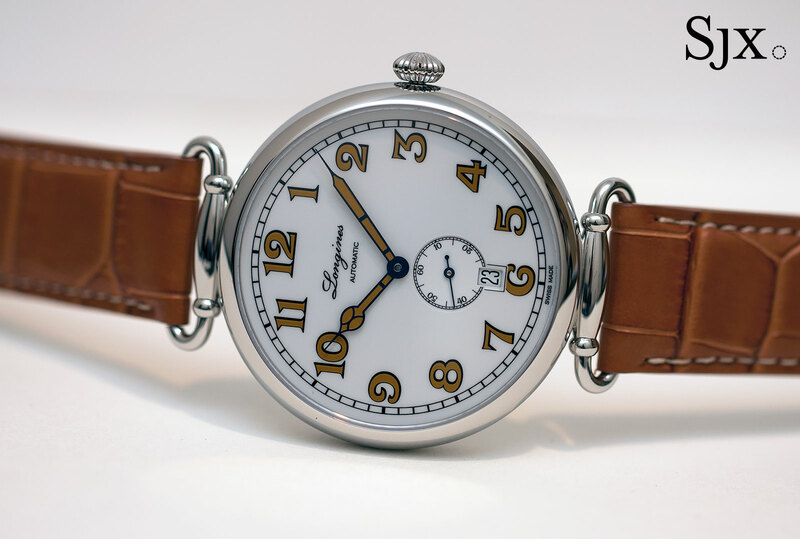 The Heritage 1918 is available in two sizes, a larger 41mm for men (ref. L2.809.4.23.2/4) priced at US$1850 or S$2700, and the smaller 38.5mm model for ladies (ref. L2.309.0/4.23.2) priced at US$1750 or S$2540. The latter is available with the option of diamonds on the bezel for US$5650 or S$8270. Update January 3, 2017: Singapore dollar prices added. Longines draws on a World War I military wristwatch for the new Heritage Military.